Anco Wiper Blades Review - Are They Good? Anco wiper blades are some of the best wiper blades drivers can buy. One of the reasons for this is the protection they offer drivers in winter weather. The rubber housing does a great job keeping ice from building up, which is a common problem drivers often come across during freezing rain. The rubber also keeps snow from building up so drivers can focus on more important tasks than deicing or removing snow from their blades. 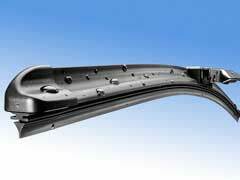 Another big draw drivers enjoy about Anco wiper blades is the heavy steel construction. This protects the blades in inclement weather. Additionally, installing these blades are easy. The KwikConnect feature allows you to do the installation quickly. Best of all, drivers love the price of Anco wiper blades. When comparing their costs to competitors like Bosch wiper blades, they hold up well. You can find them at many local auto parts stores or online at websites like Amazon. Currently, Amazon has the winter blade on sale for $7.99. The only drawback I came across was some people remarking they only last a season, which can be a common occurrence if you live in an area with harsh winter climate. It is important to note that each experience can be different and blades’ longevity may be different depending on how severe the weather is. With that said the consensus is many people enjoy the protection these blades offer them during winter driving. Ultimately, Anco wiper blades seem to benefit those that live in areas that receive snow the most. If you don’t live in a climate that receives winter weather, it is best to choose another blade like a silicone model as they are designed to help you more.